The best way to walk with us on your faith journey! 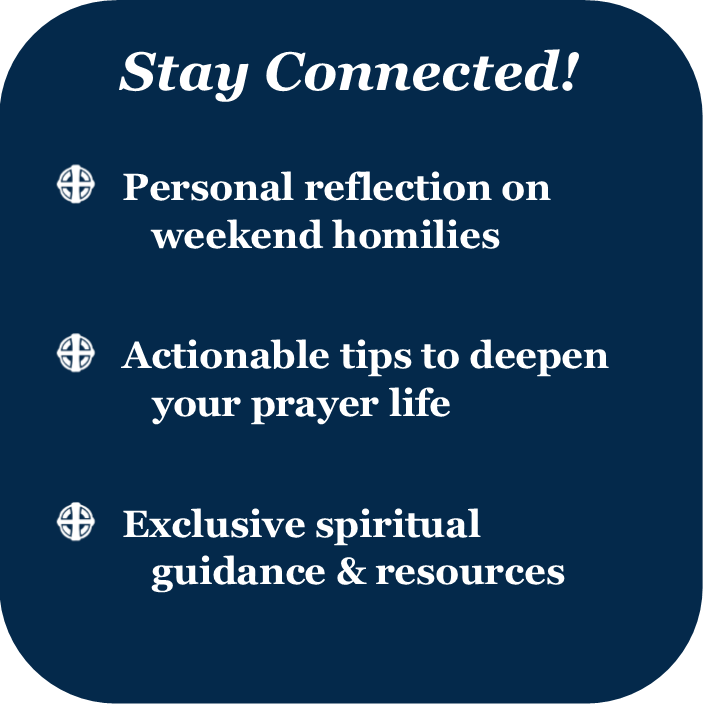 Our weekly newsletter is personally written to keep you from missing out on practical application from our weekend homilies. We’ll also offer ways to deepen your prayer life that you’ll only find here along with other resources created by our staff, lay ministers and priests. The goal every week will be to break down the homilies from the weekend highlighting common themes and giving you something of value that you can reflect upon and apply to your Christian growth and service in Christ. If you like what you’re reading, we hope that you’ll evangelize by forwarding this to a friend, but this isn’t a Tweet or a Facebook post, it’s an actual letter that you can pass along or reply to. We’ll write you back! Try it.